I don’t like recipes that take days of preparation and years to cook, (who’s with me?!) so when I came across this recipe and tweaked it to my preferences, I knew it was going to be a repeat side dish on our table. Mix the melted butter, garlic and seasonings together, toss in with carrots. Spread the carrots onto a parchment lined baking sheet and drizzle with the remaining butter mixture. 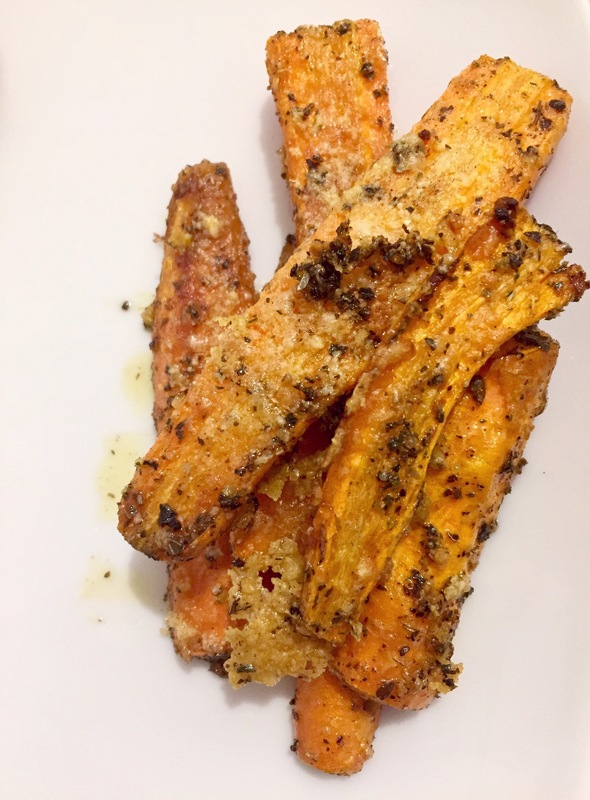 Roast the carrots for 15 minutes and then spread the parmesan cheese overtop the carrots and roast for another 10 minutes or until the cheese just begins to brown.